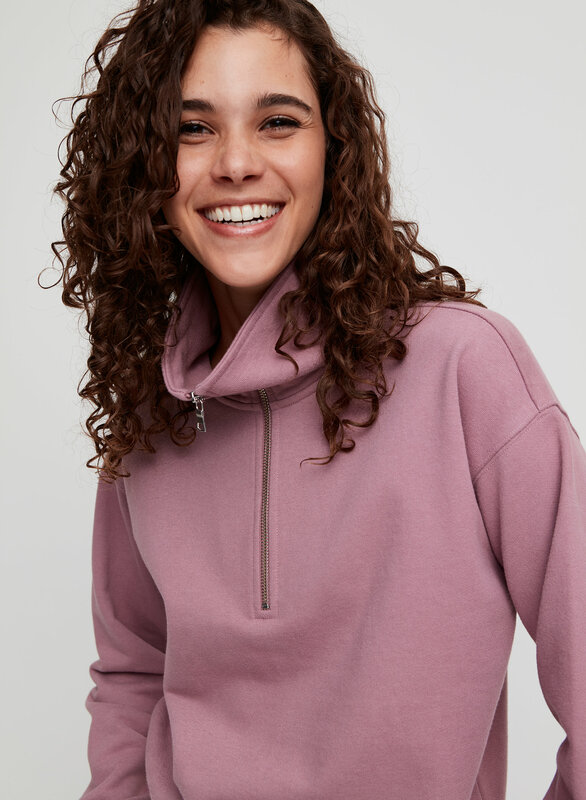 Apologies in advance to all your other sweatshirts. 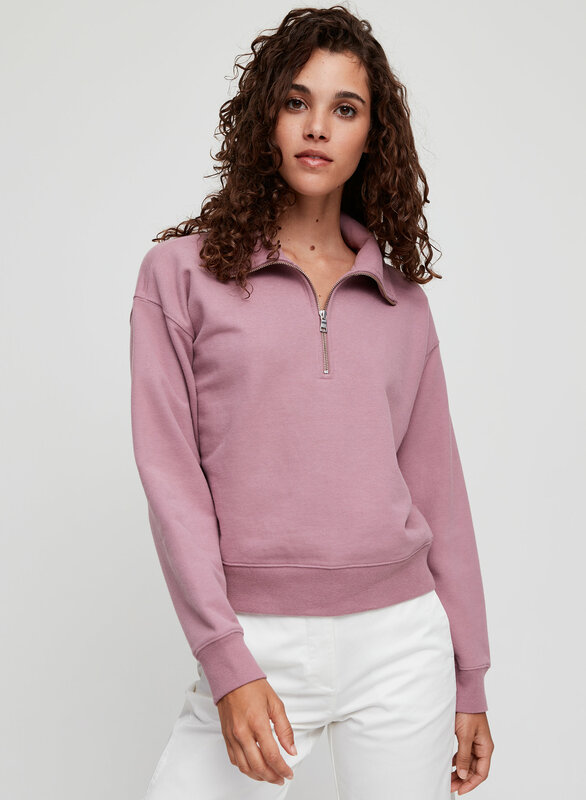 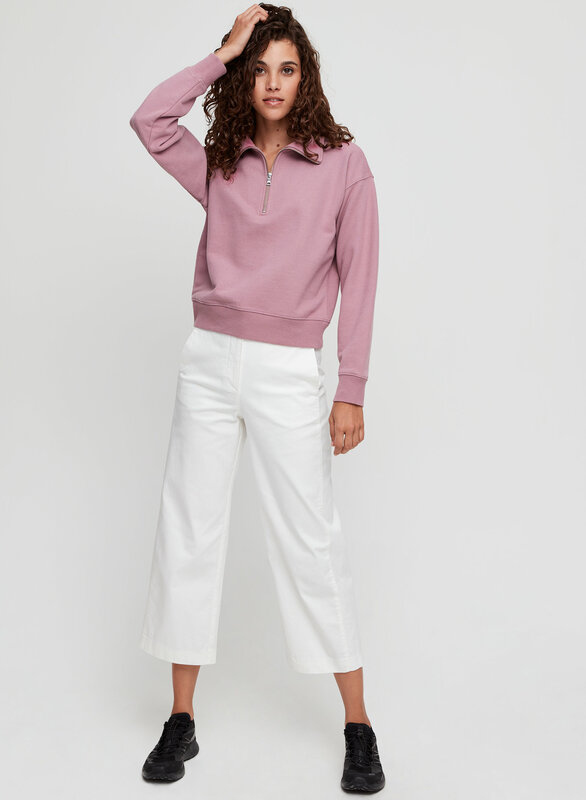 This is a relaxed pullover with a quarter zip at the neckline and a collar that can fold down. 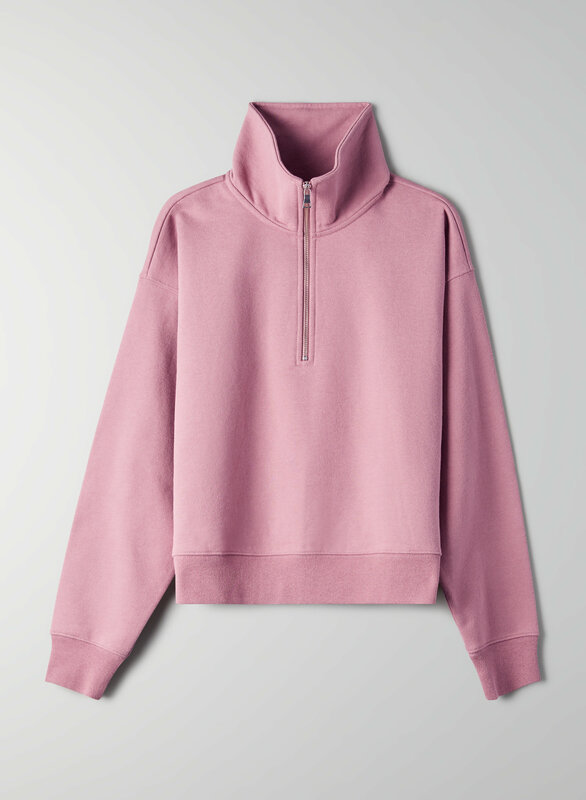 It's made with a pure cotton terry.